I distinctly remember waking up in my parents’ house on a Thanksgiving morning when I was 19 years old, lying there looking up at the ceiling and thinking, “I want to learn to knit”. No one I knew knew how to knit — even my mother had forgotten how to cast on — so I had to go to the library and get a book and teach myself. After that, I learned to spin, weave, felt, and finally dye. 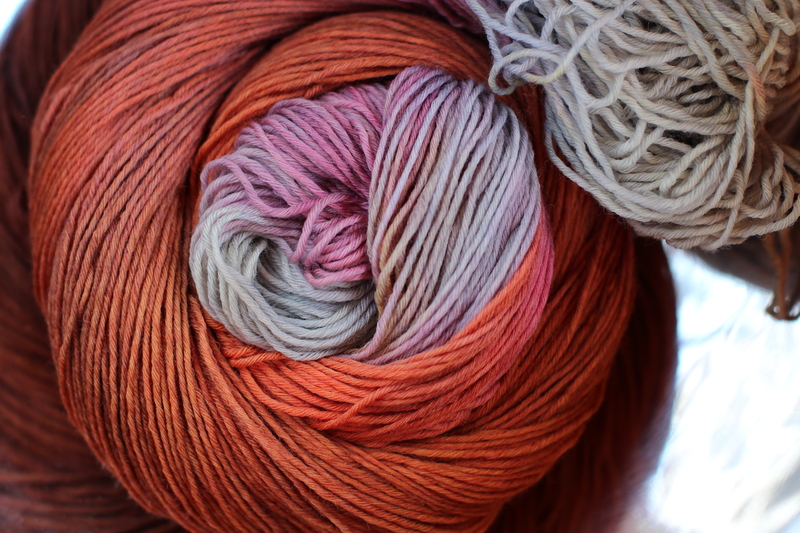 And even though I love all the fiber arts, it’s been dyeing that really felt the most exciting and freeing to me. 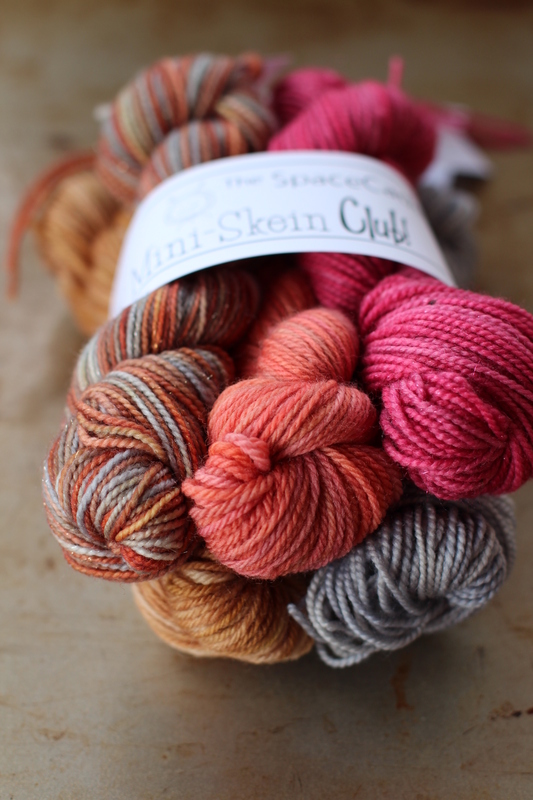 I love the solitude, when it’s just me and the yarn and the dyepots, and something magical happens. And love the camaraderie when I get together with knitters, crocheters, and other dyers at shows, and we share our love of colour and fiber! I love that my job has both those aspects, and both feed my creativity. 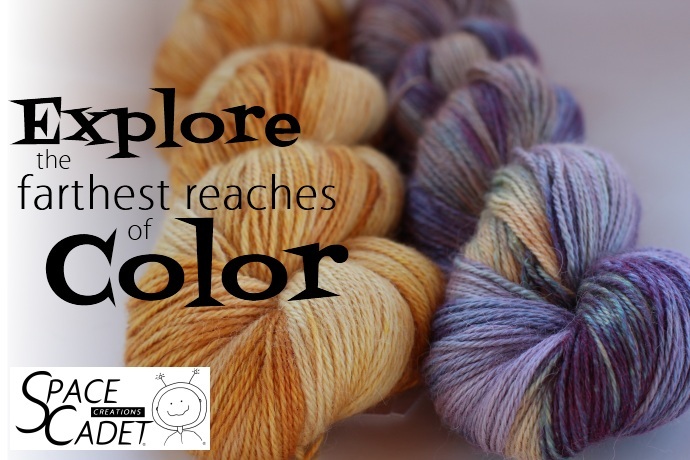 I love collaborating with other fiber artists — working with designers, with other dyers, with shops, and with knitters and crocheters. I honestly feel that the more we work together, the bigger this community grows and the more people we can introduce to that quiet peacefulness that comes from working with yarn and your hands. It blows my mind that most people haven’t had that experience, and I really want to be a part of spreading that as far and wide as we can. Yes, being involved in the fiber arts is so central to my life that it’s really impossible for any part of my life to not be touched by it. There’s yarn all over my house, yarn all in my mind. And I wouldn’t have it any other way!